It's been a busy winter of sperm donation in the USA with record new numbers of donors signing up to donate sperm. This week we took a look at the top 3 US states for sperm donor recruitment. California leads the way yet again with high numbers of women searching for a sperm donor and thankfully more and more men looking to help out. We still need more men to step forwards and sign up to donate sperm. There are so many single women and couples struggling to become pregnant. We are always really grateful to donors who are willing to give the gift of life. When you break down the activity levels within California you can see that the top 3 cities for sperm donation are Los Angeles, San Diego and San Francisco. "I am a Happy Father of 6 year old fraternal twin boys, so handsome, healthy, and hilarious! Currently Successfully Coparenting on the weekends. Slow mornings, organic meals, house keeping, grooming, parks, Gardening, thrift stores, singing, ceremony, community, homesteading. I stand around 5'-11". I have a Bachelors degree in Plant and Soil Science, with 10 years experience as an organic grower. Having kids is the best thing in the world! I am here to help you too know this Joy! The Love from your Own, makes Life Feel so Complete. May all of Life's treasures flow through you, like water! All My Relations! I AM Open to Co-Parenting or being a known sperm donor." "Some time ago, my best lesbian friend asked me to help her and her spouse get pregnant. I was deeply honored by that request, and after some thought and hesitation, I worked myself through consenting to this plan. Long story short, her relationship entered trouble waters... and at that point I felt it was not the right time to do this. But ever since we talked about being a donor, this scenario has been playing out in my mind, over and over; it has awakened a desire in me to help couples who would need a donor like me. That's why I'm here." Texas has flown up the rankings of sperm donation to a record 2nd position. We have seen a significant rise in the number of new members from Texas over the past 2 years and this trend continues with a strong push for donor recruitment in Texas. Three huge cities sit top of the table in Texas with Dallas, Houston and Austin supplying a huge number of sperm donors and recipients. "I am a very healthy 6'0 190, man that is in good shape and I take very good care of myself. I have never been a father and it is my only regret in life. I am so excited about the idea of helping other fulfill their dream of becoming a parent. I am a former model and have also worked in TV Commercials. I value this opportunity and would want the same from my Co-Parent partner." "Hello there, I'm a single male living in the Houston area. I'm trying this because of a friend that can't. I come from a hard working farm family, I love math and problem solving. I am well educated and culturally diverse. I hope this helps with your decision." New York is an ever strong state in the top 3 for sperm donation locations. This state was previously a leader in sperm donation however this winter we have seen it slip to 3rd position. New York City, Rochester and Buffalo provide the most interest in people looking into the sperm donor route. Overall it is interesting to look into why the number of sperm donors in New York are falling? The number of new sperm donors in New York has plummeted by 20%, leaving sperm donor recruitment services worried about potential donor shortages. "I'm just finishing my degree, and I hope to get a job in publishing soon. I write in my free time and try to stay as active and healthy as possible. I have Sicilian/Egyptian/Jewish heritage. At the moment I'm looking to be a sperm donor, and maybe a co-parent in the future. Feel free to message me!" "I've considered becoming a sperm donor for a very long time, and I am now certain I want to be one. I grew up in northern New Jersey, and went to college at Ramapo College of New Jersey. At the end of 2010 I moved to New York City. I'm currently living in Brooklyn, and enjoying it very much. " We have seen 20% fewer new volunteers coming forward to donate sperm in the last year compared with a year ago. Possible reasons for less sperm donors in New York. - A rise in the number of men getting tattoos. Some sperm banks have strict regulations on the amount of time a sperm donor must take following a new tattoo before he can donate sperm. The shortfall means that more sperm donors will have to donate in order to keep sperm stocks at a safe level. 5) Arrange your chosen method of insemination. 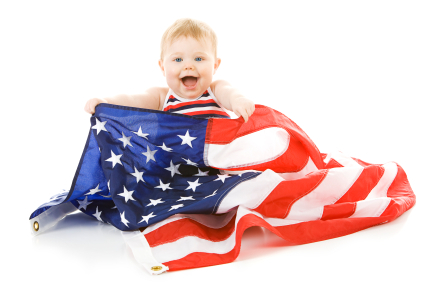 We have lots of women searching for sperm donors right across the USA so search for free here.